Your Host When He’s Not Being Beau Smith. Information used to be something you had to hunt and look for. Not now. These days it hunts YOU down and shotgun blasts you with double ought “Thought Shot.” You’ve got so many things to read, digest, look at, and think about it’s surprising that your noggin doesn’t explode like in the classic sci-fi movie, SCANNERS. With information coming at you so fast it’s hard to retain or even choose what you want to retain. That causes us to miss out on a lot. It’s like being at an all you can eat feast and spending all your time thinking about what to eat and having no time to actually eat. You stop and make purposeful choices and priorities. What really interests you. Put up your defector shields and stop the random stuff you do not choose. Engage your tractor beams and pull in just what you want to know about. It’s a Star Trek thing. I’ve been trying to get better at this. I personally love the history of comic books, both creative and the business side. 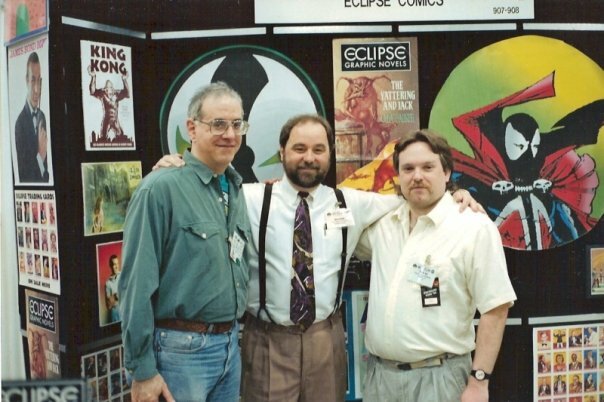 I’ve been working professionally in comic books for 32 years, bot equally on the creative side as a writer and also on the marketing side as VP of Marketing for publishers such as Eclipse Comics, Image Comics, Todd McFarlane Productions, McFarlane Toys, IDW Publishing, and The Library Of American Comics. It’s not only like having your cake and eating it too, but in my case, I got to bake the cake as well. My pull list has become choices of only what I’m interested in and setting aside a couple of books a month where I can try new things. By cutting down my choices to only books I truly enjoy, I’m able to add new books that become new favorites. When comic books are on an average of $4.00 each, you need to be picky. It’s economically a right choice. It frees you up to buy and try new product. That in turn opens up your tastes to become broader and add diversity. If you find you don’t like one of the new choices, you jettison it and move on to the next new choice. You are always looking and always finding. It’s a good thing. If I never tried new music I would still be listening to the same old Beach Boys songs over and over. Not saying that’s a bad thing, but it’s a rut, and ruts are not good. I do the same with my trade paperbacks, graphic novels and what I call Related Items. Two examples of Related Items are the books/magazines published by TwoMorrows Publishing. They call themselves “The Future Of Comics History” and I can’t think of a better tagline for them. For the longest time I have supported their line of products and referred to them as the History Text Books of The Comic Book Industry. Every aspiring writer, artist, publisher, reader, fan, collector, and industry veteran should be reading their books. You can learn so much about the industry, both business and creative, from their publications. I’ve been in the business 32 years and I still learn from them every month. Recently I was reminded of this with two of their newer publications, Retro Fan Magazine and Comic Book Implosion. Retro Fan Magazine is edited by Michael Eury. Michael is a noted writer, editor, and historian in comic books and pop culture that always finds a new slant on a industry with a 80 year old history. 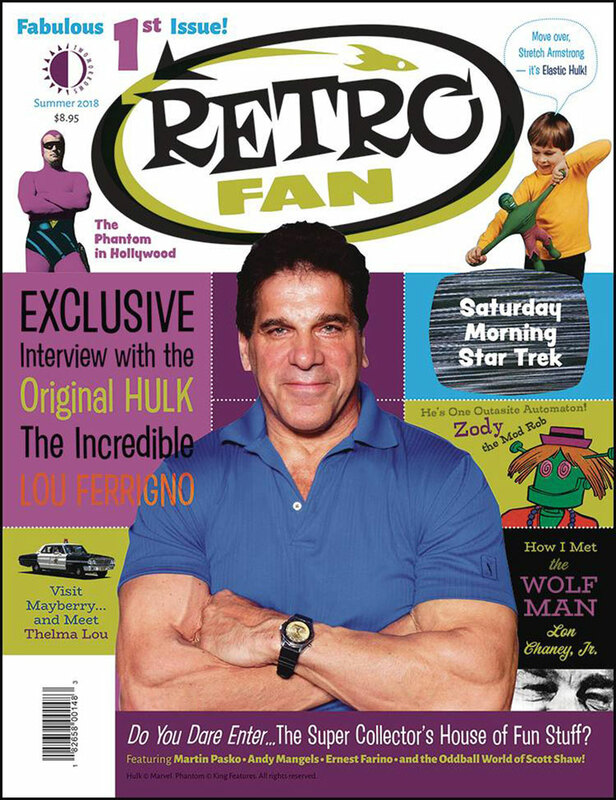 With Retro Fan Magazine, he does this in spades by bringing in talented writers and experts in the field to do stories on a wide variety of topics such as Lou Ferrigno’s time as The Hulk, Saturday Morning Star Trek, Vintage Wolfman films, Lee Falk’s Phantom in Hollywood, and even the pliable superhero-Stretch Armstrong. Future issues promise to also cover a wide net of retro treasure that will entertain those from that time period and a younger set that seeks to be entertained and educated in what has come before and has inspired the future’s creative generation. 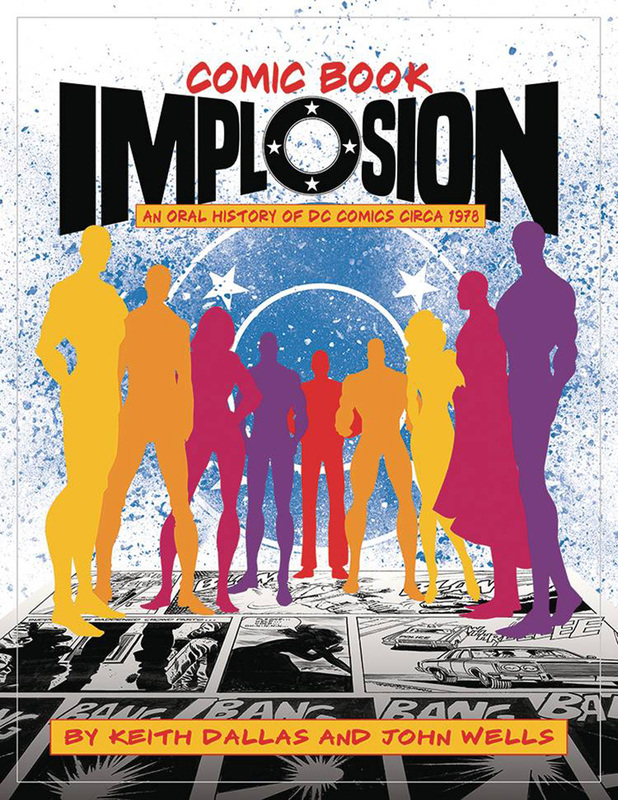 On the business side, Comic Book Implosion: An Oral History Of DC Comics Circa 1978 by noted historians and authors Keith Dallas and John Wells, brings in details of one of the most interesting business years of comic book history—1978. It was a true year of change, and not all of it good. Told from the point of view of the people that were there and a part of the DC Comics Machine, both business and creative, it is a true look behind the curtain on a changing world of monthly publishing that all can learn from. It’s a story of how things went from the top to the bottom in just months, and the results that have become the direct market we know today, warts and all. This is must reading for anyone of any age that reads comics and wants to know how they are really made and broken. No spoilers here; it’s riveting reading. In a comic book world where there is so much being thrown at you, I just wanted to remind you to be aware that you as a reader and a customer are the one that should be doing the tossing. Be conscious and particular of where you are tossing your money. Make sure you throw at what YOU want to read about. Make purposeful choices. Be entertained and informed. Comic books have all this to offer.